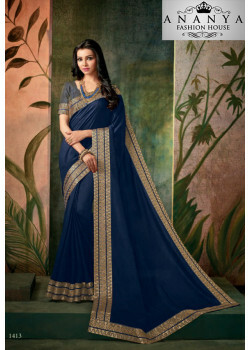 Dazzling Dark Blue Georgette Saree with Grey Blouse.. Exotic Blue Banarasi Silk Saree with Blue Blouse.. Incredible Yellow Georgette Saree with Gold Blouse..